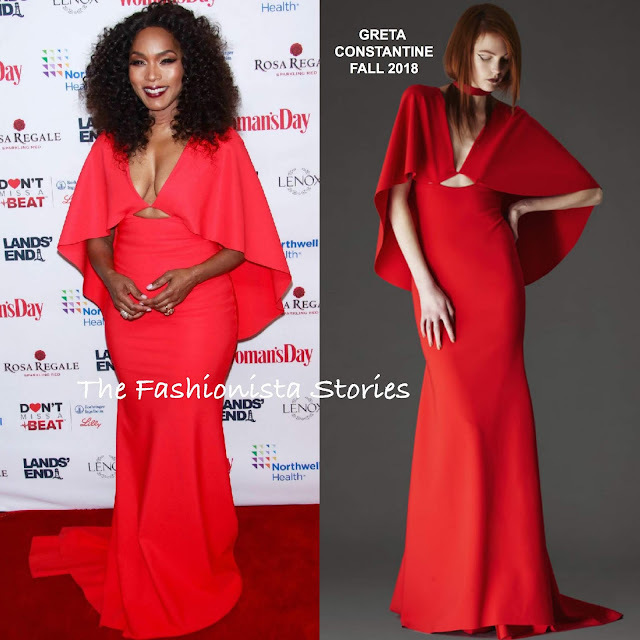 On tune with the carpet, she could not be missed wearing a vibrant red neoprene cape gown, with an chest cutout from the GRETA CONSTANTINE FALL 2018 collection. Love the idea of this gown and the color but the dress needed to be hemmed about an inch or two in the front. Also the fit on the bust is not the best. However her beauty look is flawless which topped off her look along with statement rings.